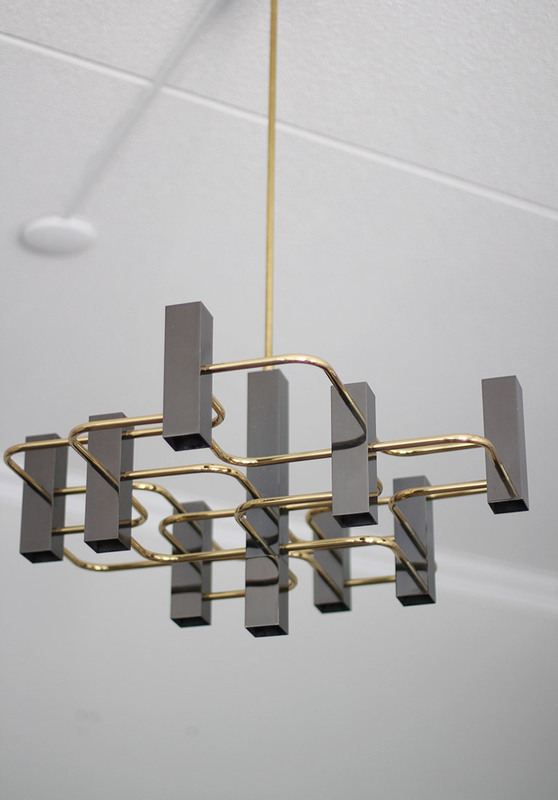 Mid-Century modernist chandelier by Gaetano Sciolari for Boulanger as a special anniversary edition. 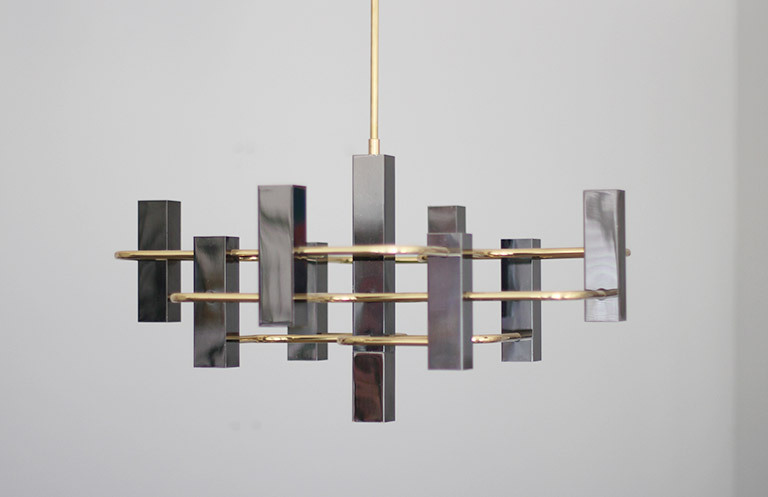 Featuring 8 lights surrounding a center support light (9 lights total). 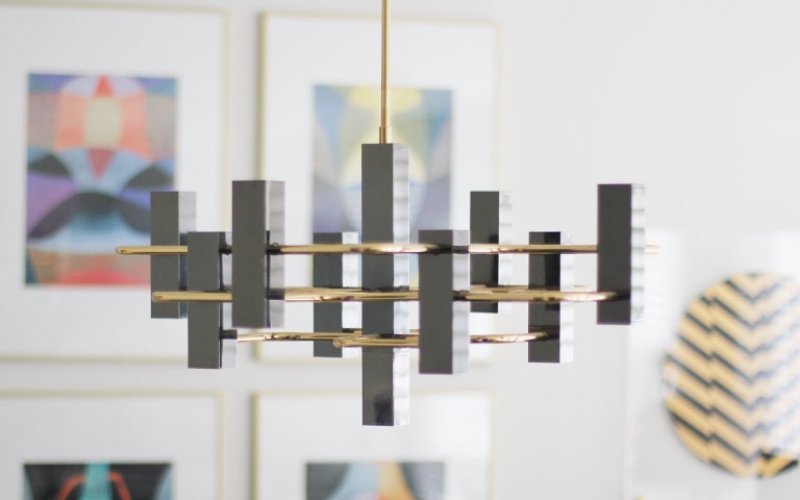 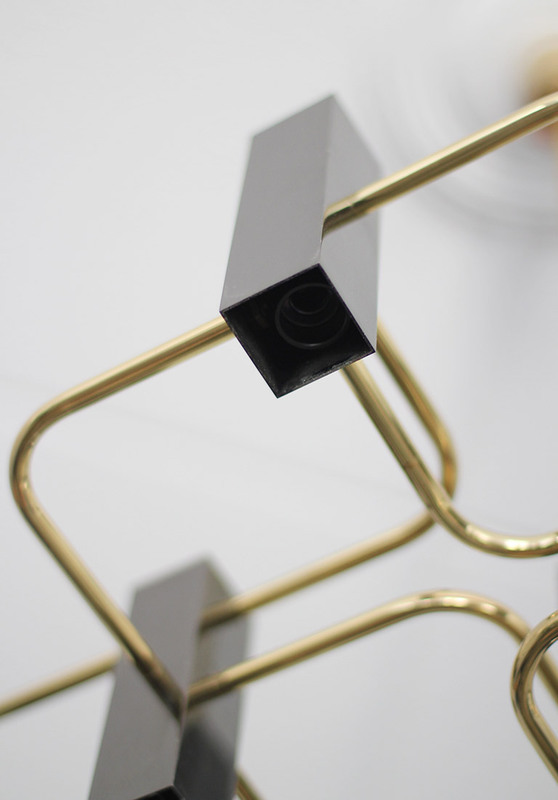 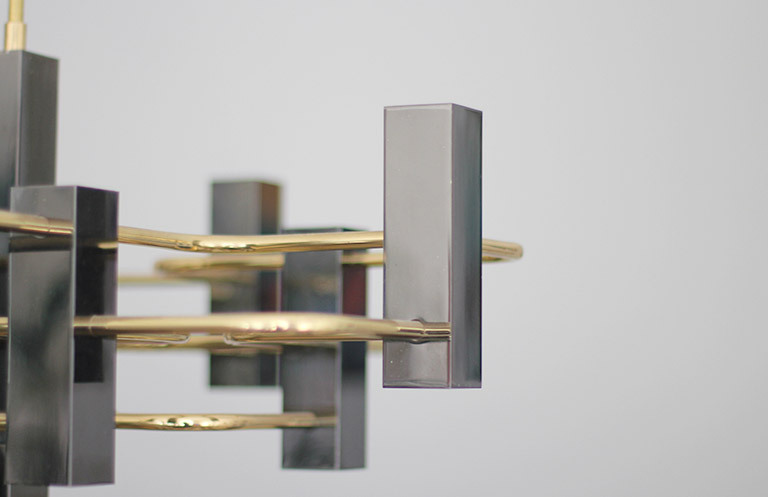 All in a chic gunmetal finish with interconnecting brass supports that form a geometrical pattern, this is a special anniversary edition. 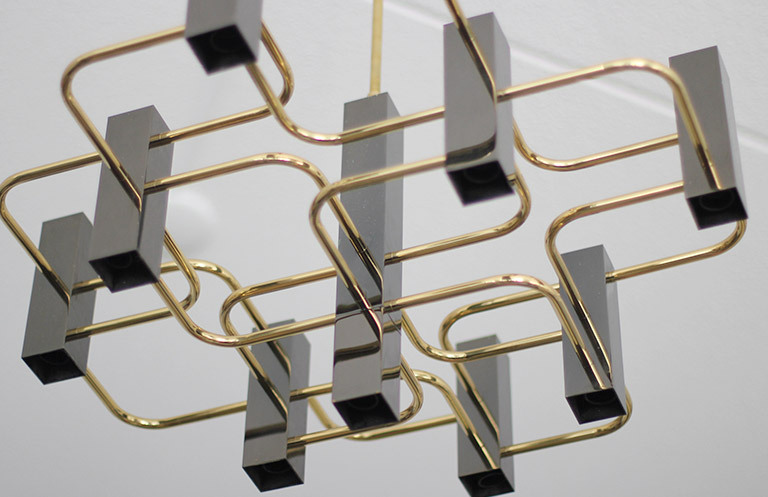 Each light fitting can be pushed inside its frame to suit different lighting effects and type of bulbs.